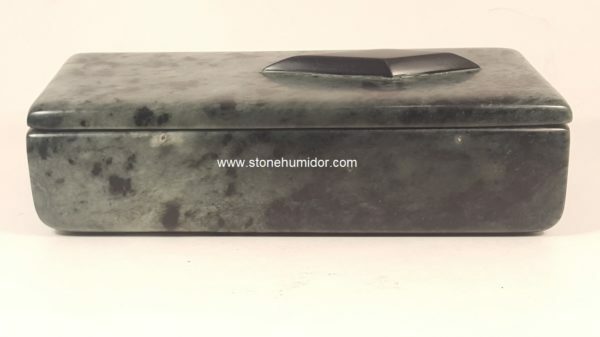 Looking for a smaller humidor to handle fewer cigars, but still want something that looks prestigious and one of a kind in its design? 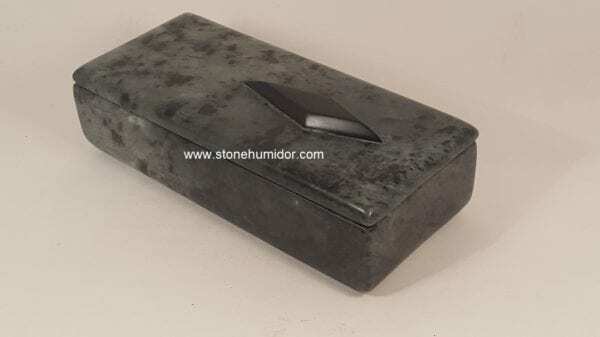 I created this line of mini-Crypt stone cigar humidors just for that. 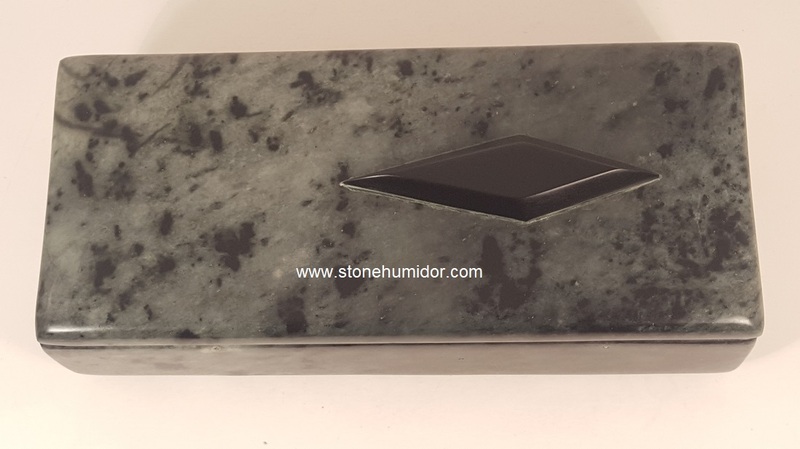 These small humidors still have all the benefits that the large stone humidors offer with regards to humidification and temperature control, UV light protection, presented naturally from the stone, and the solid one piece stone construction. 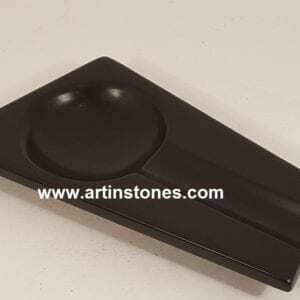 They also include a sealed place on stone lid. Depending upon your cigar size, these can handle anywhere from 3 large cigars to 6 medium cigars to 10-12 Panatella size cigars. 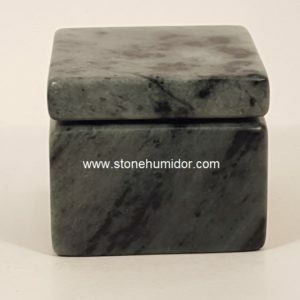 This is one that I presently have available, with size noted. 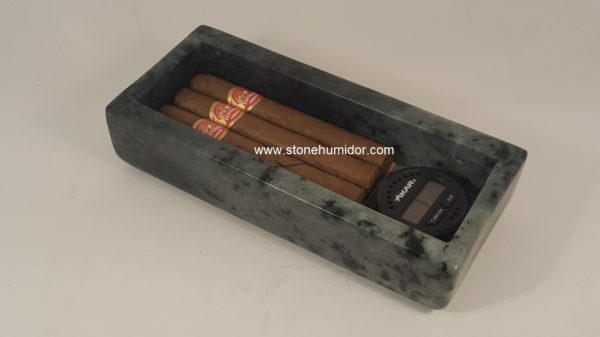 I can also carve these in any custom size/version you might want to handle your specific cigar requirements. If you want a custom size with a one of a kind design, just send me a request and we can go from there. This mini-Crypt stone cigar humidor, is carved from a solid piece of Brazilian Soapstone. 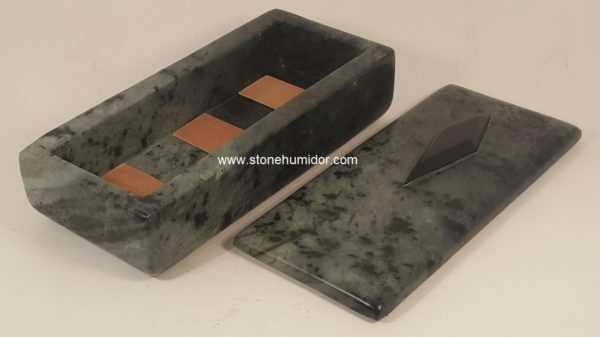 It is a beautiful green color, with various shades and black inclusions. I also included an inset of polished black chlorite on the top cover. 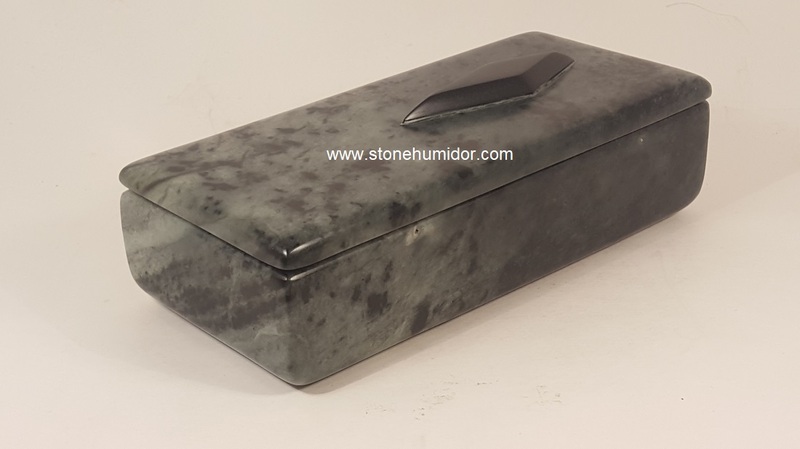 This stone humidor has an interior size of 2.375 inch width x 7 inch length x 1.125 inch depth. 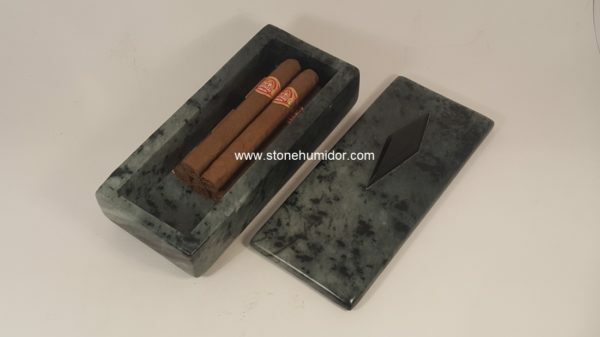 I made it long enough to handle 3 large cigars or 3-5 No. 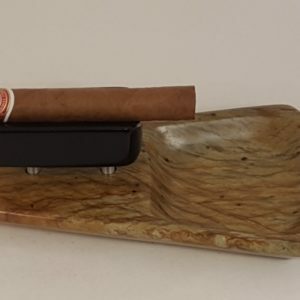 2 cigars. 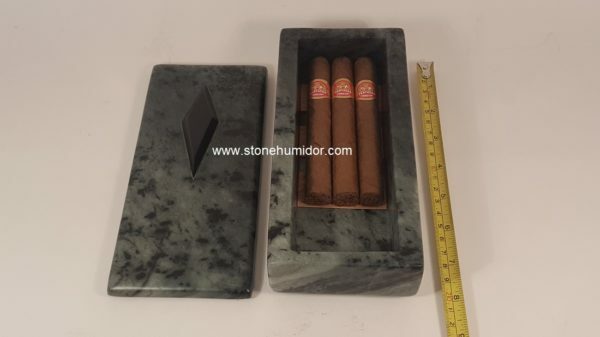 Would probably hold 15+ Pantela/Puritos size cigars. 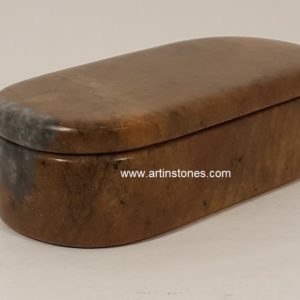 It is polished and finished with a natural melted bee wax polish. Unique and one of a kind. Artist certificate of authenticity included.